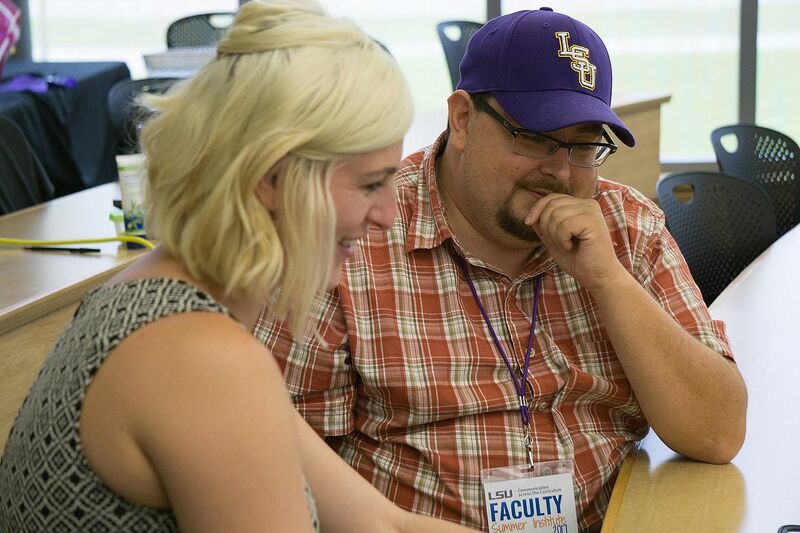 In May, Outreach Manager Samantha Weald and I visited Louisiana State University in Baton Rouge to participate in the CxC (Communication across the Curriculum) Summer Institute, a faculty workshop that introduces attendees to hands-on assignment design for their classrooms. Wiki Education has worked with CxC faculty at LSU for several years to bring high-quality Wikipedia assignments to LSU instructors and students. Since the fall 2014 term, we’ve worked with CxC to support nearly 700 students who have added 706,000 words to Wikipedia. They’ve made high-quality contributions to articles about natural disturbances, biology, chemistry, geology, women’s studies, and more. The assignments have helped students improve their communication and information literacy skills, which is why CxC faculty like Rebecca Burdette and Dr. Becky Carmichael have encouraged more LSU instructors to incorporate Wikipedia assignments into their syllabi. Becky Carmichael discusses assignment design with instructors. Wikipedia assignments fit perfectly into this type of training. In order to contribute academic scholarship to Wikipedia, students must follow the above steps. They evaluate Wikipedia’s existing coverage of topics related to their course and interests, and they identify a specific topic (i.e., a Wikipedia article) that is missing information. Once they’ve selected a topic for further study, they must find journals, books, and newspapers to learn the context and find out what information is available on the subject. They synthesize the available literature in their own words so they can share it with the world via Wikipedia. As they read sources and learn more about the topic, they refine their writing and improve their draft. Along the way, they must select sources based on their relevance and reliability. In the end, they have not only attained knowledge for themselves, but they do something with that knowledge and share it out for others to read. Much of this process is cyclical and iterative, so students must continuously revise their work to communicate with the target audience on Wikipedia. All told, while they have added new information to Wikipedia, they have also, perhaps unknowingly, honed their information literacy skills. As Dr. Carmichael said, information competent students can determine the type of information needed and which information to include for their purpose. A Wikipedia assignment is one clear way to achieve this competency, as students must identify the best sources about a topic, then summarize the most important parts to include in their articles. 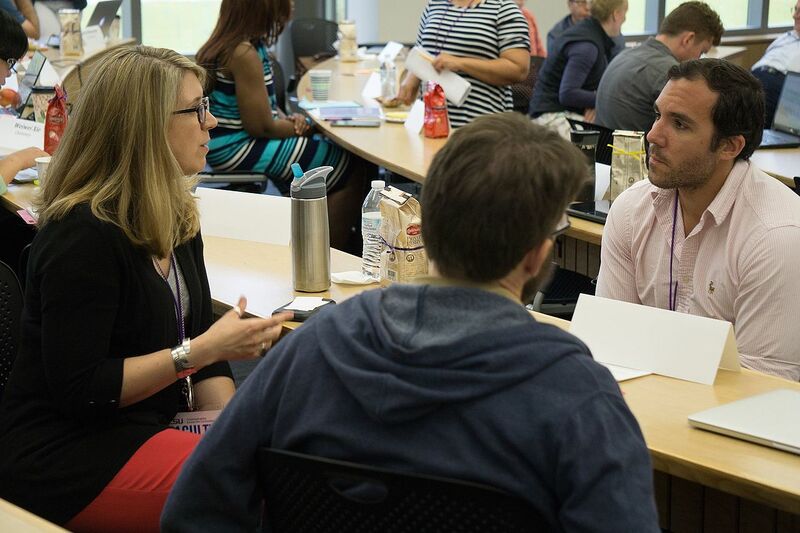 We’re already having further conversations with Summer Institute participants who would like to join Wiki Ed’s Classroom Program, and we’re excited to see continued growth of our program in Baton Rouge. If you’re an instructor who would like to learn more about teaching with Wikipedia, please email us at contact@wikiedu.org. I am identified as a librarian in the caption, but I am actually an Assistant Professor in the School of Library and Information Science. Fixed, Ed. Thanks for pointing it out!